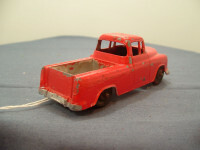 This is the Tootsietoy Chevrolet Cameo Pickup Truck in red. 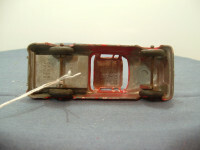 It is a one piece casting with all detail such as bumpers, lights, body lines and trim, doors, etc. 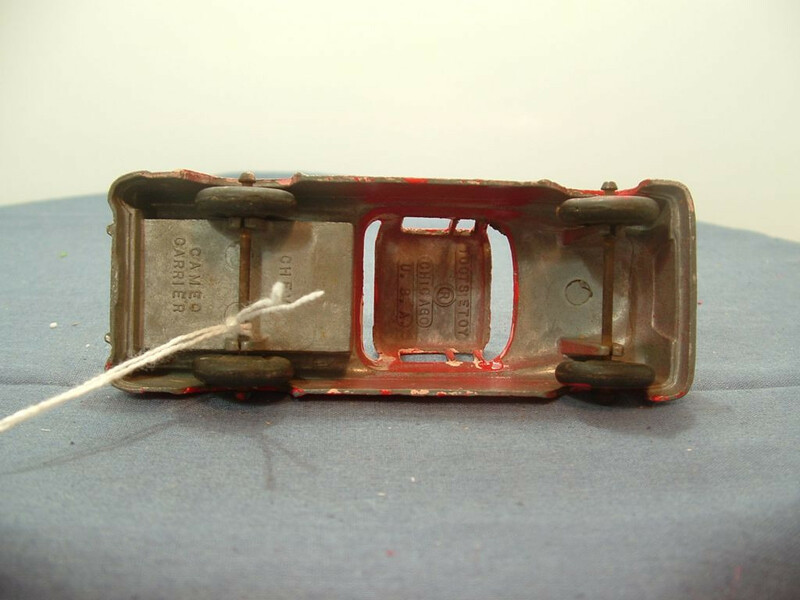 cast into the metal. At the front the bumper, and grille are picked out in silver, but not the head lights. The sides and bottom of the pickup bed are painted silver, as is the rear bumper. 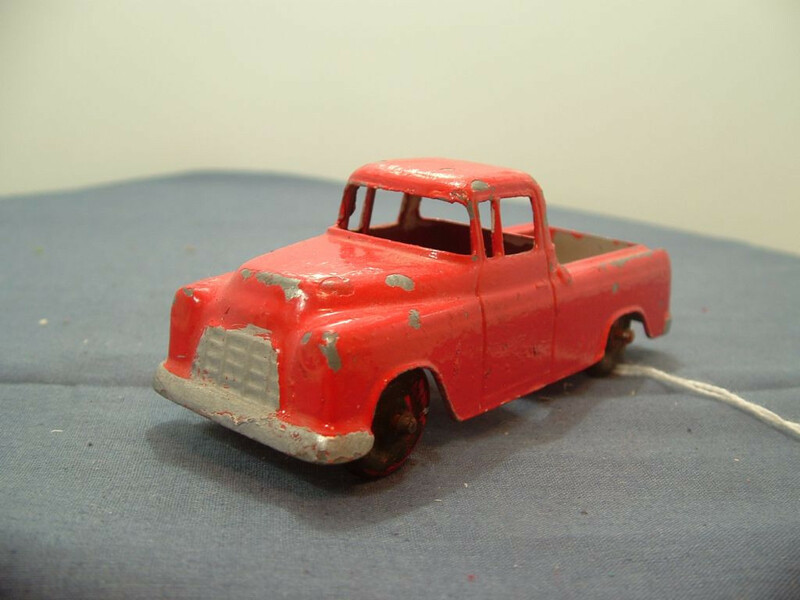 This item has probably been repainted at some stage as th paint job is patchy.